From the farmland of Illinois to the beaches of Virginia and the woods of Maryland, the natural environment has been at the core of many of my oldest and best memories. I am grateful to have been raised by parents who prioritized family, community, nature, and a nature-rich lifestyle. At their encouragement, my childhood was largely spent playing outside. As a result, I developed a deep and lasting connection to the Earth and its many inhabitants. During my teen years, nature-play transitioned towards environmental education and activism. When I was 15, a family friend came to live with us during his lengthy rehabilitation after a deadly car accident. His name was Joe Allen. Before his accident, Joe was the president of his university’s environmental club and avid outdoor enthusiast. As his recovery progressed, Joe was able to enroll in courses at Howard Community College and I became an important part of his support system as he tried to navigate school with multiple physical handicaps. To help Joe reengage his passion for environmental conservation, I helped him co-found HCC’s Environmental Club. As a result, I became more deeply involved with environmental issues, helping the college to begin a comprehensive recycling program and completing the University of Maryland’s Master Gardener certification, through which I gained an understanding of organic agriculture. After completing my Associates degree as a student in HCC’s Rouse Scholars Program, I was accepted into the University of North Carolina at Chapel Hill (UNC) to continue my undergraduate education. Joe passed away my first week at UNC, a tragedy that further affirmed my commitment to continuing our shared passion for environmental activism. In the absence of a dedicated environmental major at UNC at the time, I developed my own academic plan that provided me with a well-rounded curriculum in environmental studies by coupling a Biology major that emphasized ecological systems with an International Studies major that focused on trade, economics and the environment. I spent the summer between my junior and senior year in Salzburg, Austria in a UNC study abroad program that focused on environmental risk analysis. I continued my studies at UNC in the Environmental Science and Engineering Master’s program and then started work for the consulting firm ICF International in 2004. My first project focused on evaluating the success of the Multilateral Fund for Montreal Protocol on Substances that Deplete the Ozone Layer, followed by an evaluation of the World Bank’s Global Environment Facility, which funds international environmental treaties that don’t have internal funding mechanisms. For the past 10 years, my consulting work has been focused primarily in the energy efficiency field. I went back to school in 2011 to earn a PhD in Sustainability Education, and to give myself the opportunity to recalibrate my life’s work to bring my new passion for motherhood into harmony with my environmental work. The birth of my first child in late 2009 and our second child in early 2013 deepened my commitment to the creation of sustainable communities in which there are ample opportunities for children, and others, to connect with nature. A tremendous amount has changed in the relatively short time since my childhood. Per Richard Louv’s book, I feel that I may very well have been the “Last Child in the Woods.” Children don’t spend their free time engaged in “free play” outside in the environment with their peers as often as before – free time is now largely consumed with video games, texting, and surfing through virtual environments or working to meet the demands of a high-test, high-pressure educational environment that leaves little room for experiential learning. The purpose driving my studies and research has been to contribute to the creation of a culture of connection that nurtures the well-being of both people and the natural world. More specifically, my dissertation research focused on familial time spent in nature because it is a widely accessible action that has the fairly unique potential to directly and positively impact this two-fold social and ecological purpose. Research indicates that having close relationships with important adults is essential for children’s sense of well-being, which may reduce their drive for material consumption and increase their confidence and capacity to explore and connect with the greater world. Research also indicates a direct relationship between time spent in nature as a child, especially in the presence of a positive adult role model, and the development of environmentally responsible behavior. The intensity of current pressures on both families and the natural world necessitate that actions to foster and sustain greater well-being in these two interrelated areas not be taken in isolation. By focusing on family-nature connections within the context of the family nature clubs (FNC) promoted by the Children and Nature Network my research helped to create a better understanding of the social and ecological benefits of family time spent in nature. Columbia Families in Nature is a FNC, which I founded as a part of my research three years ago. Coming in many shapes and sizes depending on their context, FNCs are community-based organizations that regularly bring families together to enjoy the benefits of time spent in nature. Some FNCs are small while others are quite large, some meet at the same place each week while others make a point of going to a new place for each gathering, some are focused on education while others are focused on free play, some are run by a parent volunteer while others are part of a larger organization’s mission. FNCs can essentially be created by anyone in any community. What FNCs have in common in their structure is that the events occur outdoors, are geared towards full family participation, and are designed to develop positive connections with nature through direct experience and informal learning opportunities. Columbia Families in Nature (CFIN) provides free, fun opportunities for families to spend time together in nature. On two to three Sunday afternoons a month (and every other Wednesday) CFIN outings take place at natural areas in and around Columbia. These outings emphasize playtime in nature and also include hands-on conservation activities. By connecting families with nearby nature, the goals of CFIN are to: foster greater connection with nature and the community; increase environmental awareness and action; support the well-being of participants; and help strengthen family relationships. community, which have drawn more than 400 distinct family participants that have collective shared more than 8,000 hours of family time in nature. Our events are held at a variety of natural areas, including public parks, farms, gardens, wildlife sanctuaries, and community open space trails. The foci of each outing are also diverse, ranging from free exploration and play, to active hikes and camping, to structured, conservation focused events, such as tree planting and garden creation. responsible behaviors, especially if the nature experiences begin at an early age (Chawla; & Derr, 2012; Wells; & Lekies, 2012). In addition to spending time in nature, the company of a close adult that models comfort with, enjoyment of, and respect for nature helps children develop a positive, protective relationship with the environment (Chawla, 2009; James et al., 2010). In her research on environmentalists, Louise Chawla (1999, 2007) found a pattern in which the majority of these individuals attributed their commitment to a combination of two sources– many hours spent outdoors in a clearly remembered natural area in childhood or adolescence, and an adult who taught respect for nature. The third most influential experience for the development of active environmental citizenship is reoccurring participation in an organization that fosters direct engagement with and learning through action about the natural environment (Chawla, 2009; Chawla; & Derr, 2012). Family nature clubs, such as CFIN, create a unique and significant opportunity to fulfill all three of these life experiences that create the conditions for people to care about and take care of the natural world. With CFIN, we are also working to achieve immediate environmental impacts through activities such as tree and native species plantings and stream clean-ups. work I had begun with CFIN. 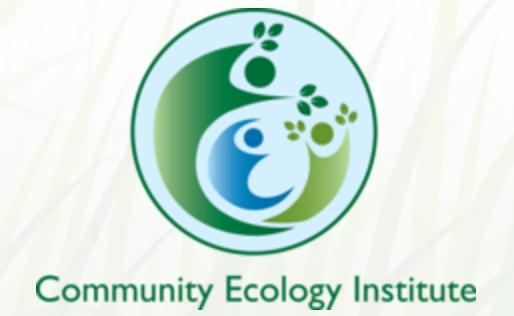 CEI is a non-profit organization with a mission to enhance community health and well-being by fostering the connection between all people and the natural world. CEI is focused on working locally, with members of communities, to help people connect with the natural environments in the area. We understand that direct experiences in nature can support experiential learning, community building, ecological restoration, improved health, and enhanced personal, community, and ecological resilience. To help communities achieve these benefits, CEI conducts and disseminates research on the importance of direct engagement with the natural environment for individual, familial, community and ecological health and well-being as well as designs, implements, and promotes opportunities to foster health and build community through connection to nature. CEI has recently been awarded a $20,000 grant from the Chesapeake Bay Trust for a Howard County-focused family watershed experiential education program. CEI will leverage its award winning CFIN program to offer a series of twelve monthly “Watershed Weekends” that will support families in learning how to become active stewards of the Patuxent and Patapsco Rivers. Most Howard County residents live within one-half mile of a stream or storm drain, connecting to local rivers and the Chesapeake Bay, and each needs to learn how personal behaviors affect the health of our waterways. The Watershed Weekend events will engage participants in learning about these relationships through stream litter clean-ups, tree plantings, watershed history talks, and naturalist-guided introductions to local birds, fish, and other wildlife. The Watershed Weekend series began with a celebration at Rockburn Branch Park in Howard County on June 25 and will continue through May of 2018. I believe that it is imperative for children and families to reconnect with nature for their own physical, mental, and emotional well-being. In addition, if people do not have an appreciation for and relationship with the natural world, then they won’t be as compelled to be stewards of the Earth throughout their lives. Once an individual sees the connections between themselves and their surroundings, they gain a deeper sense of understanding and respect for others and for the world around them, which is why it is important to encourage families to be actively engaged with their local community and environment. Particularly in our current political and environmental climate, it is more important than ever for people to step away from their screens, get outdoors to have real experiences, meet people from different backgrounds, and do something tangible to take care of our social and ecological communities together. There is ever increasing urgency around addressing our environmental crises, but every day citizens can work together to engage in stewardship based on sound social-ecological principles, re-create sustainable communities and environments where people and nature thrive. This is called “civic ecology” and it is some of the most important work of our times.